Michael Friedman of Bangor, chairman of the Reapportionment Committee. AUGUSTA, Maine — The bipartisan state commission responsible for redrawing Maine’s congressional district lines voted narrowly Tuesday to recommend to the full Legislature the Democrats’ latest plan, but lawmakers will see the Republicans’ preference, too. Neither is likely to get the two-thirds support needed in the Legislature, which means the matter would be decided by the state’s supreme court, something that has happened each of the last two times the state has undertaken this process. “When I was asked to do this, I was probably naive,” said Michael Friedman, the commission’s chair and the only independent on the panel. “How difficult would it be to draw a line? It’s only 4,300 people out of 1.3 million. I thought I could do it on a weekend. I was wrong. Maine political leaders were tasked earlier this year with redrawing the line separating the state’s two congressional districts in order to reflect with updated U.S. Census data. Based on the 2010 figures, the 1st District now has 8,669 more residents, which means roughly half of that number must be shifted to the 2nd District. Democrats and Republicans serving on the state’s congressional redistricting commission have been working separately since early July to come up with scenarios but the process grew increasingly partisan once they had to share ideas. Party members all cast votes for their own plans on Tuesday, leaving Friedman as the tiebreaker. The Bangor attorney supported the Democrats’ plan, dubbed the “Vassalboro-Gardiner plan,” which shifts the Kennebec County towns of Gardiner, Vassalboro, Vienna, Rome and Unity Township into the 2nd District and moves Oakland and Wayne into the 1st District in order to achieve the population deviation of one. The plan, the third attempt by the Democrats, would affect nearly 20,000 voters but splits only Kennebec County, which already is divided between the 1st and 2nd Districts. Both parties’ plans were constitutionally sound, Friedman said, but in his opinion, less movement was better. The Democrats’ plan moves fewer communities and voters from one district to another and still meets all the other statutory criteria. Republicans released their latest map on Tuesday, a plan that shifts Androsoggin County from the 2nd District to the 1st but keeps the coastal counties of Lincoln, Sagadahoc and Knox — including U.S. Rep. Chellie Pingree’s hometown of North Haven — in the 1st. GOP members on the commission said that plan was “a hand across the table” to the Democrats. However, once the vote was taken, Sen. Debra Plowman, R-Hampden, indicated that her party would send the original Republican plan to the full Legislature as a minority report. That plan, dubbed the “Western Maine plan,” moves Lincoln, Knox and Sagadahoc counties from the 1st District to the 2nd District and moves Oxford and Androscoggin counties from the 2nd to the 1st. Additionally, Kennebec County would be contained in the 2nd District and Franklin County would be divided between the two. Among other things, the GOP plan would shift one-quarter of the state’s voters from one district to the other and would put Pingree’s hometown of North Haven squarely in the 2nd District. Despite working for the last two weeks to move away from their original plan, Republicans said Tuesday that the initial plan still makes the most sense. However, while Friedman said the original Republican plan probably deserves more consideration, it also represents a “dramatic” shift that had little chance of becoming reality. Both sides agree that there is no perfect line. Friedman conceded that each party was trying to engage in some form of gerrymandering: The Democrats for protecting the status quo and their two sitting House members, and the Republicans for trying to shift more GOP voters into the 2nd District. Friedman also acknowledged the sentiment of some members of the public who spoke last week about the partisan nature of the process and the lack of independent voices. Maine’s 125th Legislature will convene for a special session Monday, Sept. 27, in an attempt to settle the matter. Although the Legislature will consider the recommendations of the redistricting commission, Friedman pointed out that a different plan ultimately could emerge. “I would not be surprised if that happened,” he said. Commission member Kenneth Fredette, a Republican House member representing Newport, said there was no chance the Legislature would pass the Democrats’ plan with a two-thirds vote. Some members of the Republican caucus, including Plowman, talked about the Legislature needing only a simple majority vote on congressional redistricting. If that’s true, the Republicans hold advantages in both the House and Senate, which means they could push through their plan. Interestingly enough, that same Legislature this year passed a resolution proposing an amendment to the Constitution of Maine to require two-thirds of each legislative branch to approve congressional redistricting proposals. Because that involves changing the state’s constitution, Maine voters must weigh in. That won’t happen until November, though, long after the Legislature makes its decision on redistricting. The two parties are expected to continue talking in the weeks leading up to the special legislative session in hopes of avoiding a court battle and avoiding a fight over two-thirds versus simply majority support. couple of days. 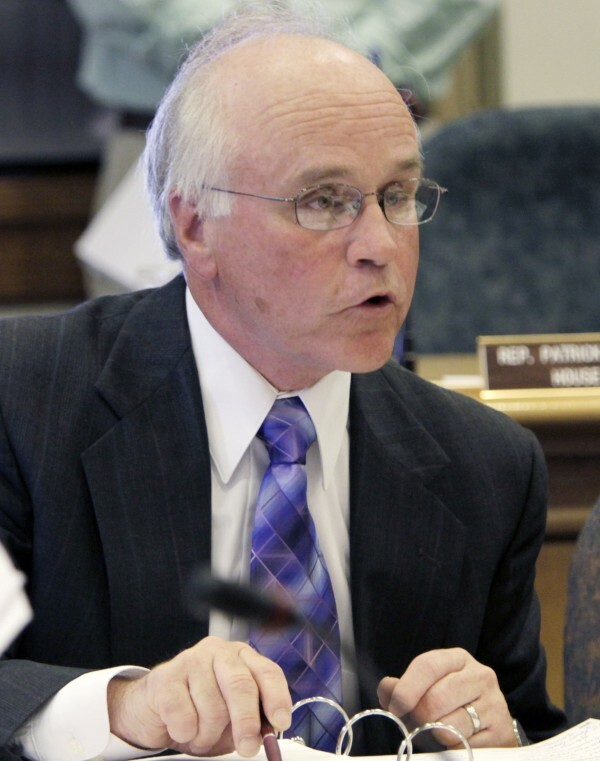 We will start with points of agreement and work toward a Congressional redistricting plan that makes sense for all of Maine, not two Maines, and not for one part of Maine at the expense of another,” Plowman said.